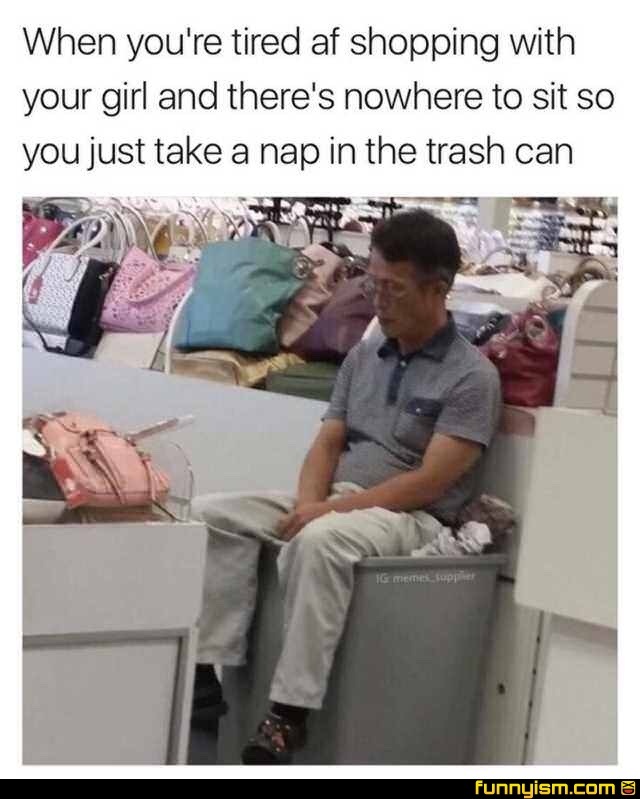 Who threw away an Asian man? We recycle here. Seriously, if you are a store that wants to sell a lot: make a nice lounge for the men. Your sales will double! When you're in hell, the trash is an improvement. You say shopping, i hear seat testing.